At Shepherd of the Hills our junior high program (grades 6-8) focuses on helping students emerge as well-rounded Christian leaders who are responsible, respectful, productive, and positive citizens. We consider ourselves a Christ-centered family, and we do our best to support our families and each other in every way possible, through each stage of the students development. Christian Environment – In addition to religion class, all students attend our weekly chapel service to learn about Christ. 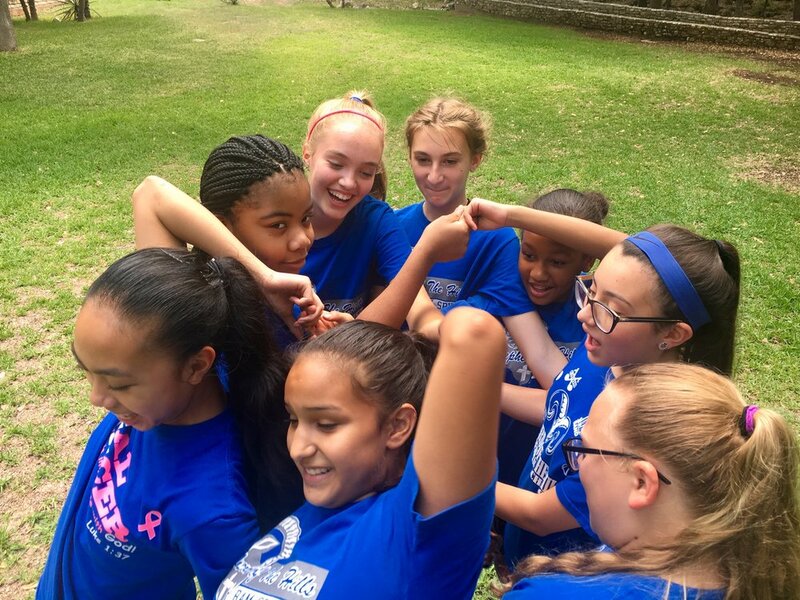 Students have Faith Families, which are mixed groups of 6th, 7th, and 8th grade students who grow and bond in Christian fellowship and group activities. Junior high students may also participate in our chapel praise team (band or choir), which leads the musical portion of chapel. Academics - Our core academic curriculum program includes language arts (including honors 8th grade English and Literature), math (including High School Algebra), science, social studies, Spanish (high school credit available), technology, and physical education. Electives – Students choose from yearlong, performance-based electives including art, choir, creative writing, drama, and band (beginner and advanced). Our band regularly wins highest honors in competition and several of our creative writers have won competitions and/or achieved publication. Technology – Technology is integrated into all subject areas using iPads, netbooks, and Smart boards. During Tech class students learn productivity skills in Microsoft Office using TechnoKids, a project-based curriculum, while also learning and using various iPad apps such as iMovie, Haiku Deck, Prezi, and many more. PSIA – Our participation in the Private Schools Interscholastic Association allows students the opportunity to take part in the most comprehensive academic contests in America for students in grades 1-8. Our students have regularly placed in both the district and state level competitions. National Junior Honor Society – This organization honors students who have demonstrated excellence in the areas of scholarship, leadership, character, service, and citizenship. 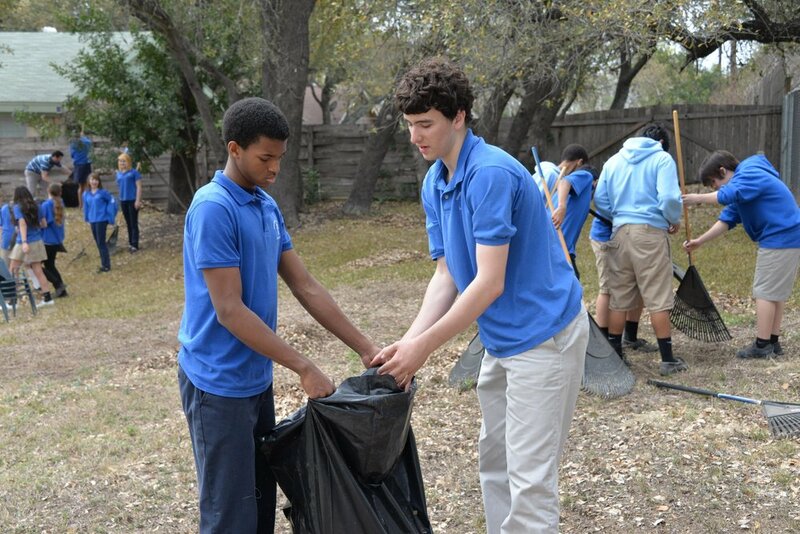 The NJHS creates and participates in multiple service projects each year. For example, students have raised over $5,000 for the American Cancer Society and St. Jude Children’s Hospital, while also supporting Christian Assistance Ministry and Operation Interdependence. Student Council – This organization promotes and provides leadership development opportunities to prepare and empower students to serve their school and peers. Student council offers students a voice in decisions that affect the student body. Athletics - We offer a wide variety of athletics, including football, cross-country, soccer, volleyball, basketball, baseball, softball, golf, and track. Our boys’ basketball team has won two state championships and has earned an invitation to the LBAA National Tournament for four of the last five seasons. Our girls’ basketball team also earned an invitation to the national tournament in 2017.